After discussing TopCity-1 with you all last week, I thought of shedding some light on Mumtaz City, too. Property investors compare both societies because of their close proximity to the new airport, but both have different things to offer. The airport will not be affecting this locality so I don’t see the point of discussing it at all. What I do want to tell you about is how you should approach investment in the different blocks that are up on offer. 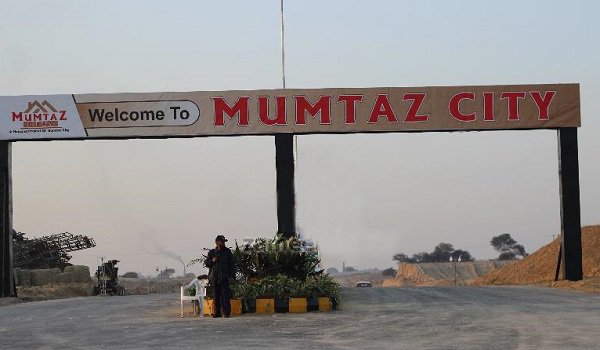 Mumtaz City comprises four blocks, including Chenab Block, Indus Block, Ravi Block and Executive Block. So far, Chenab Block is the only one where possession has been handed over. The Avalon Residencia is set to launch villas in this block. According to Pak Associates’ Shiraz Manzoor, villas spanning 800 square feet, 1,250 square feet and 1,800 square feet will be offered under the project. It is expected that development of the villas in question will begin in a couple of months. Property prices in Chenab Block will increase once this happens, making it an important block for investment in the current scenario. Development work is also being carried out in Ravi Block. Possession of commercial plots will be granted within four to five months. The possession of residential plots will be handed over after a year or so. Short-term investors should consider both commercial and residential plots in this block. The pace of development work in Indus and Executive Block is not impressive, which makes me believe that any investment made into these blocks will prove to be fruitful only in the long term. The Executive Block is expected to feature 60-feet wide roads, which means that it will outshine the Indus Block in terms of infrastructure development. For commercial plots, the price ranges between PKR 90,000 to 150,000 per square yard. Mumtaz City can currently be accessed from the Fateh Jhang Road; however, its accessibility will improve after the access road coming from Kashmir Highway opens. Furthermore, property prices in the locality will increase after the inauguration of the New Islamabad International Airport. From what I can see, the whole project is good for investment for both short- and long-term investors. But considering the development status and other factors, Ravi Block and Chenab Block are hot options for investors looking to gain good returns in a short period of time. I will be keeping you people updated on the locality in the future as well. If you are interested in buying property here at the moment, I suggest you get in touch with Shiraz Manzoor at 03335555626.